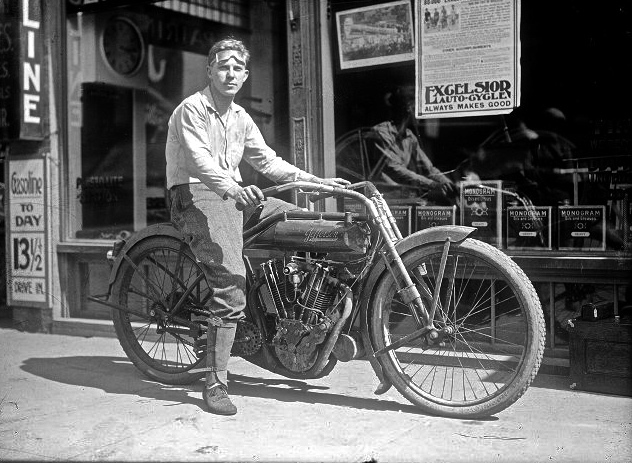 A dashing young man on his motorcycle by an unknown maker posed in front of an Excelsior dealers shop. The tank insignia under magnification appears to spell Jefferson. It is a very attractive and sporty looking machine that I hope that someone can give us a positive ID on. Note the gasoline sign on the wall at the far left at 13 1/2 cent a gallon, which in todays dollars is $2.87 a gallon. That is most certainly a circa. 1914 overhead valve Jefferson motorcycle. These machines were built in Jefferson, Wisconsin. 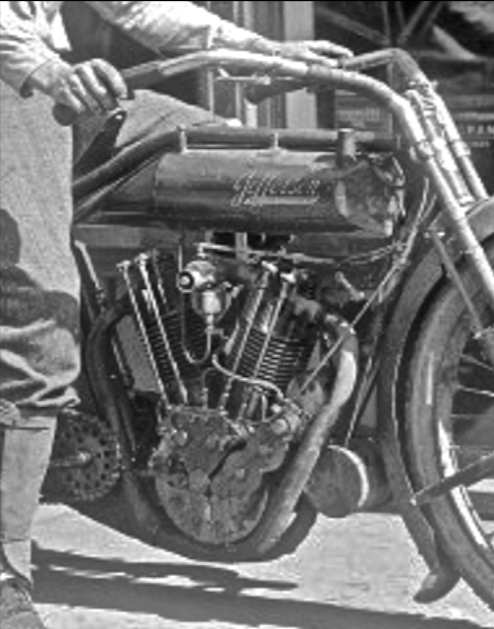 The Jefferson was the brainchild of Perry E Mack, who released an OHV engine in 1910. These engines became very popular in racing, and in 1911 the company moved to Jefferson, where the name was changed to PEM to honour Mack. The name was changed to Jefferson in 1913, and the company went out of business in the following year.